Book Emily A. Hay to Bring Your Social Media Learning to the Next Level! 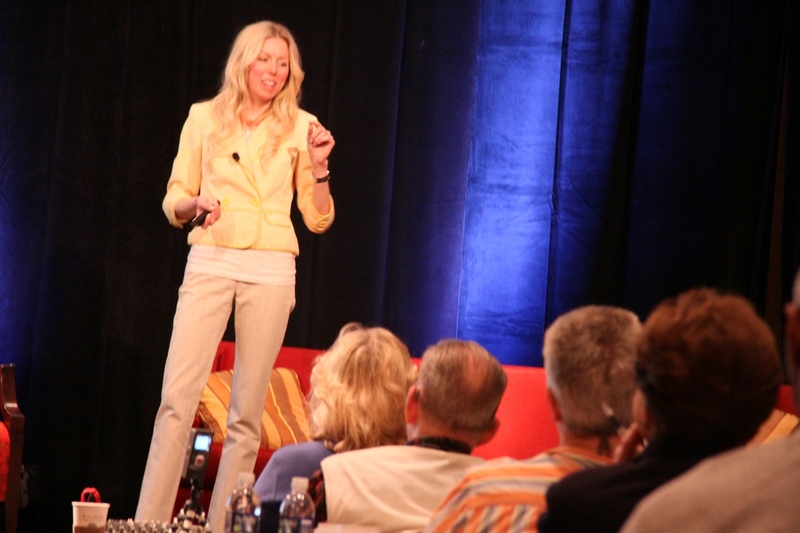 To inquire about Emily speaking at your next event, contact us today or call (248) 631-9611. Please note: Additional personal speaking engagements by Emily A. Hay can be found here. April – Social Media Presentation to the Hebrew Free Fund Board of Directors. Sunday, April 14, 2013. June – Keynote Session: Inforum: Center for Leadership, “Amplify your Professional Success with Social Media.” Western Michigan University. Kalamazoo, MI. Tuesday, June 4, 2013. June – Keynote Session: Inforum: Center for Leadership, “Amplify your Professional Success with Social Media.” PNC Center. Troy, MI. Tuesday, June 11, 2013. June – Panelist: Deadline Detroit, “New Media Breakfast Series” Thursday, June 20, 2013. Compuware Headquarters, Detroit, MI. February 15, 2012 – FREE social media webinar for dentists, “Have Your Best Year Ever with Social Media!” Hosted with Dr. Richard and Dr. David Madow 9:00pm EST. July 25, 2012 – Blog Talk Radio, Listen to the FREE audio session titled,”Back to School for Tech-savvy Tweens: Do Parents Make the Grade?” Learn how parents of 8-13 year olds can prepare them to use social media safely and with their long-term reputations in mind. Host: Renee Bellbeck of the National Association of W.O.M.E.N. Saving Face for Parents of Tweens FREE Monthly Webinar Series COMING SOON! August 29, 2012 – Columbus Business First: Social Media Summer Camp Expo Exhibitor. Hay There Social Media will be exhibiting among social media experts, where people can learn about new social media products and services, and network with local business professionals. Saving Face for Parents of Tweens will be available for purchase on-site. November 14, 2011 – Michigan Emerging Conference Exhibitor. Conference for movers, shakers, entrepreneurs who want to shape Michigan’s future. Hay There Social Media provided all conference attendees the opportunity to have a complimentary professional LinkedIn profile photo taken.